Pragmatic Play continues to be one of the leaders in the online casino industry as the quality of their content continues to win the hearts of many casino lovers around the world. 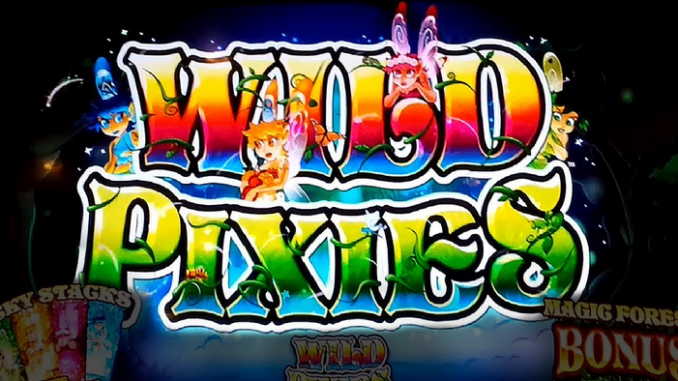 They have published a couple of really interesting online slot video games recently, with their latest title being Wild Pixies. Set in an enchanted forest, this 3×5 video slot seems drenched in color, as the rainbow-like palette is the first thing you notice when the game starts. The game is inspired by various fairy tales a the Wild Pixies seem to be the main characters in the game that could potentially bring you a fortune if you are lucky enough to have them visit your reels. Apart from the outstanding visuals, the game also has a great soundtrack that will make the entire experience very exciting and fairytale-like. Pragmatic Play is a developer based in Malta, and they have published dozens of online slots, bingo games, live casino games, and more. They did a great job with Wild Pixies which has low to medium variance. One of the symbols in the game that could really make a change is the magic butterfly, which is actually the wild symbol that can substitute all other symbols on the reels except for the scatter. Speaking of scatters, the sparkling diamond is the scatter, and if you manage to get enough of them on the reels, you are in for huge wins. In other words, if you manage to get three scatters on the reels, you will trigger two features at once, which are the bonus spins feature, and the roaming wilds feature. As soon as you trigger those features, you will be transported to the enchanted pixie forest where you can start this amazing part of the game that could bring lucrative prizes. As previously mentioned, Pragmatic Play has been doing pretty well lately, and one of their other projects is a studio in Bucharest which is a cutting-edge live casino studio that had received a Class II license by ONJN (the Romanian regulatory body). Furthermore, the developer has published a couple of other interesting slot games, one of them being a modern version of a fruit slot called Extra Juicy. Furthermore, they also published a game called Wild Gladiators which is a Roman-based slot featuring fearless warriors from Ancient Rome. Finally, people interested in other popular slots by Pragmatic Play can always try DaVinci’s Treasure, Wolf Gold, and other well-performing games.